Compatible with Adobe® Illustrator® documents versions 8–CS6 and CC–2019. 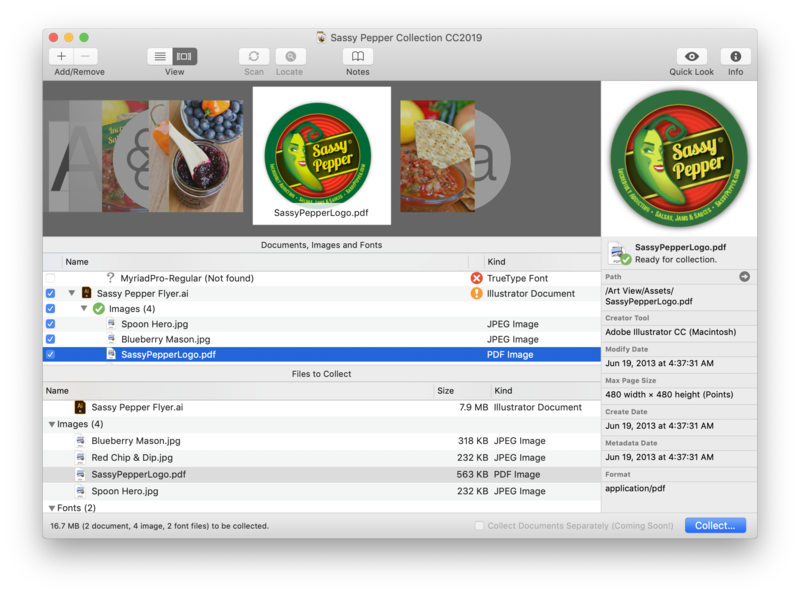 Collect for Output for Adobe Illustrator Documents: Package up fonts and images for inspecting, sending out and archiving. Now Compatible with macOS 10.14! Art Files is the industry-standard Collect for Output for Adobe Illustrator documents. It packages up your documents with fonts and images. It also lets you inspect your documents and resources before they’re collected so you know just what’s being packaged up. And Art Files even lets you collect several documents at the same time sharing resources within the same package. 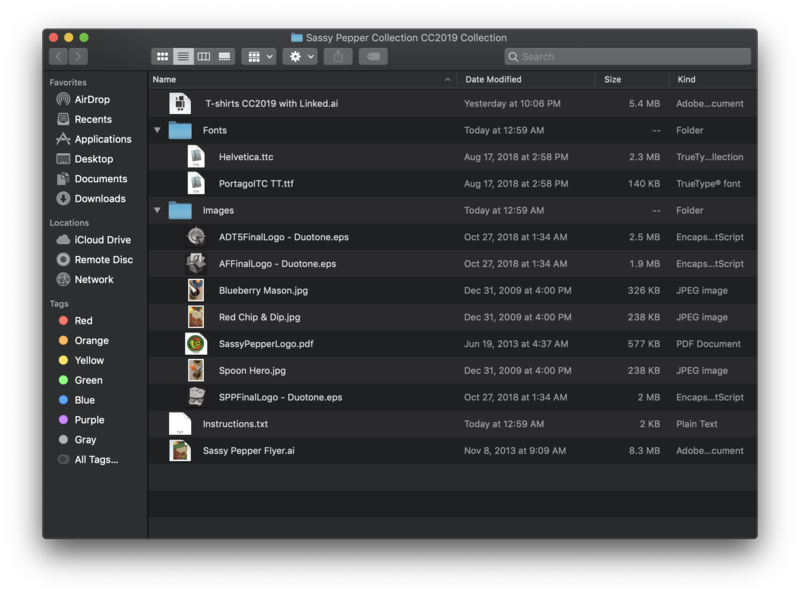 Visually inspect your files before they’re collected. Art Files is more than a collection utility, it’s also a file inspector that let’s you preview and inspect the document’s assets. It even helps you find missing images that may have been moved since the document was last saved. Download our free, unlockable 15-use demo for Mac OS X 10.10–10.14 (64-bit). Our quick 3-1/2 minute video shows how Art Files can help you. Read Art Files’ Frequently Asked Questions and contact support if you need more information. Buy your license from our online store and receive your serial number immediately. We also off multi-user discounts starting at 10 and 20. These companies and more have made Art Files part of their creative workflow. Art Files saves time, prevents errors and gives you peace of mind knowing that all the fonts and images your Adobe Illustrator documents use are packaged up and ready for sending out and archiving. That’s why design companies of all sizes trust Art Files to package and archive their artwork. Art Files makes packaging artwork simple. 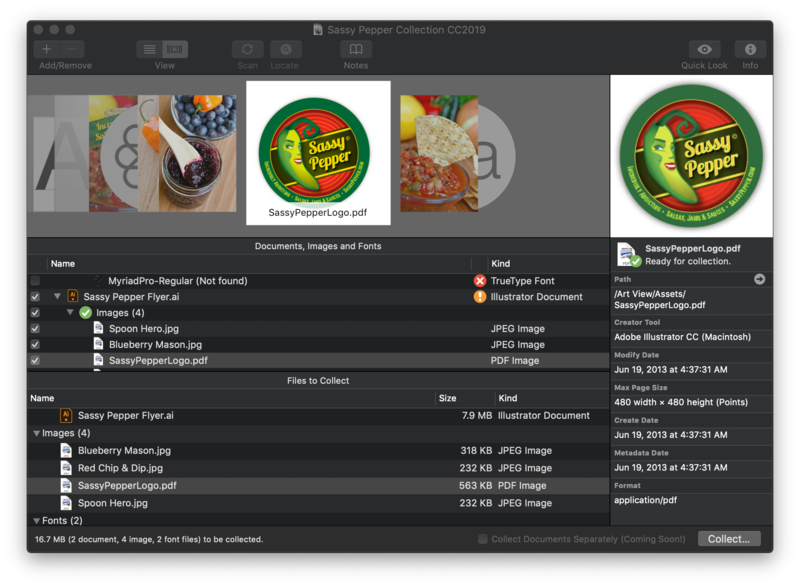 Transform the grueling process of finding linked images and identifying font files into a simple drag & drop process. Art Files is a huge productivity boost. Allowing artists to focus on their artwork results in greater efficiency, fewer mistakes and better creative. A happy team, is a productive team. Art Files is simple to deploy. We provide multi-user licenses as a single serial number. And we can help you with large scale deployments. Art Files is perfect for production artists or anyone who works with graphics files and needs the portability of sending documents to others for editing or printing. 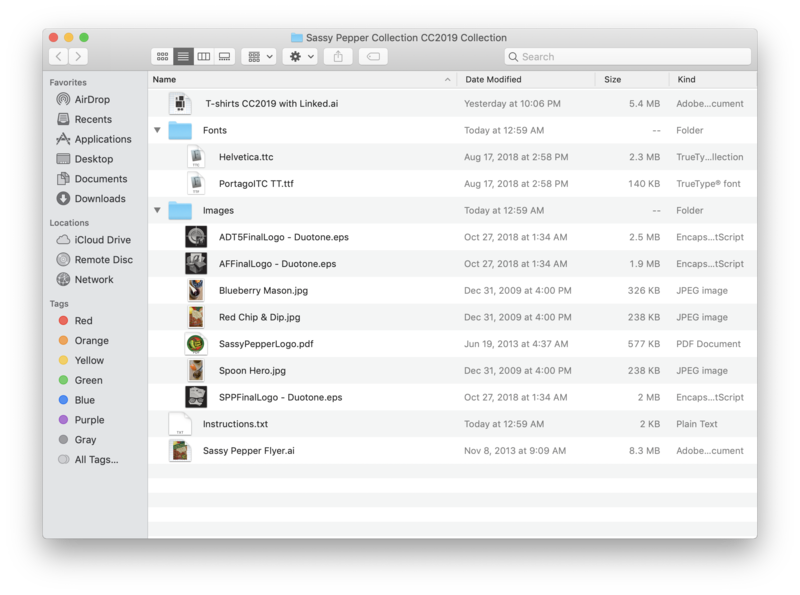 Its simple, straight-forward user-interface is sure to make file collection nightmares a thing of the past. Art Files has the unique ability to collect several documents at once, saving precious time when only minutes stand between overnighting your artwork to the printer and having to hire a high-price door-to-door courier to meet your deadline. In addition to saving time, this feature also cuts down on disk space by collecting shared images and fonts between documents only once. * Dark appearance requires macOS 10.14 Mojave. Scanning through your artwork is simple thanks to Art Files’ Quick Look integration. And you can even extend its preview capabilities using Quick Look plug-ins like Art View. Well, you can be sure of it. Two things get lost in this world: Socks and linked images. But at least Art Files 3 has a handy “Locate” button in the toolbar. Now when a link shows up missing, Art Files will scour your drives to recommend other links to replace the ones that deserted you. Maybe it can’t help you with your laundry, but at least your art is better off.